Planet Earth has entered the age of the Personal Satellite with the introduction of Interorbital’s TubeSat Personal Satellite (PS) Kit. The new IOS TubeSat PS Kit is the low-cost alternative to the CubeSat. It has three-quarters of the mass (0.75-kg) and volume of a CubeSat, but still offers plenty of room for most experiments or functions. And, best of all, the price of the TubeSat kit actually includes the price of a launch into Low-Earth-Orbit on an IOS NEPTUNE 30 launch vehicle. Since the TubeSats are placed into self-decaying orbits 310 kilometers (192 miles) above the Earth’s surface, they do not contribute to any long-term build-up of orbital debris. After a few weeks of operation, they will safely re-enter the atmosphere and burn-up. 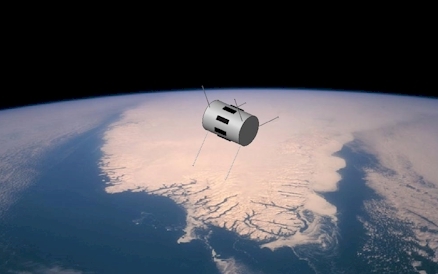 TubeSats are designed to be orbit-friendly. 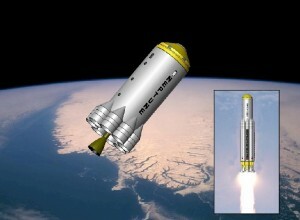 Launches are expected to begin in the fourth quarter of 2010. Total Price of the TubeSat Kit including a Launch to Orbit is $8,000! As long as the experiment or function satisfies the volume and mass restrictions, it can be integrated into the TubeSat. These restrictions provide a unique intellectual challenge for the experiment or function designer. TubeSats are also available as Double TubeSats, Triple TubeSats, or Quadruple TubeSats. The length, volume, and mass of these expanded TubeSats are based on the multiplying factor. 32 TubeSats can be integrated into and launched by a single NEPTUNE 30 launch vehicle. Prior to launch, each TubeSat is inserted into one of the rocket’s 32 Satellite Ejection Cylinders. They never come into contact with the other TubeSats. Once on-orbit, the satellites are released according to a pre-programmed timing sequence. The timing sequence is designed to prevent satellite clustering. Interorbital expects to launch a set of 32 TubeSats per month. The NEPTUNE 30 TubeSat launches will take place at the IOS Spaceport Tonga, located on the southern tip of the island of ‘Eua in the South Pacific Kingdom of Tonga. FULL-PAYMENT OPTION: If the buyer pays the full cost of the TubeSat kit upfront, he or she is immediately placed on a launch manifest according to the order in which the payment was received. HALF-UPFRONT-HALF-ON-DELIVERY PAYMENT OPTION: TubeSat buyers also have the option of paying half of the cost upfront, then paying the other half of the cost at a later date or when the TubeSat is completed and ready for integration into the launch vehicle. With this option, the builder will be placed on a launch manifest according to the time when full payment is received. All orders will be shipped within 30 days. Payment can be made Online with PayPal or payment can be made by check or money order to the address listed at the bottom of the page. Your online payment will be processed through Astro Expeditions LLC (Interorbital Systems’ marketing division). Please include your e-mail address. Upon receipt of your order, you will be e-mailed your shipping information and your position on the current launch manifest. Astronomy Question of the Week: Why aren't all celestial bodies spherical? This is an awesome idea. I hope it succeeds. For $8,000 I would be tempted to build one myself. Not sure what the function would be, but it would be a fun experiment. High school science classes or clubs could even do this. Very nice. When I was a kid.I've imagined how exiting it would be to have tubes that could be converted into satellites for personal use.It's wonderful that someone else had the same idea and is now putting into practice.I will buy a Tubesat for personal use.A childhood drem coming true! Does anybody have any links to Interorbital Systems test flights? They must have already done some test launches since they are planning on launching TubeSats by the end of next year. Their website even says they're planning on putting 6 men into orbit next year -- http://www.interorbital.com/Team%20%20Page_1.htm . There is a Cubesat Forum (see the link) that helps people (especially students) to build cubesats (small satellites), at no cost. No need to buy expensive DIY kits. Also, do not be fooled by InterOrbital 8000$ TubeSat, launch included, kit. Beside the fact that the idea of TubeSat is bad (a cubesat being easier and cheaper to be built) launch costs are around $ 100 000 per 1 kg cubesat. There is no way somebody can launch a satellite at a cost of $8000. InterOrbital tries to sell you a 200$ crap (the TubeSat) at a price of $8000. The launch of InterOrbital Rocket, also a non viable concept, will be delayed forever. Your $8000 TubeSat will never fly into orbit. InterOrbitals is a company of swindlers.